Blurb Description: Humans and androids crowd the raucous streets of New Beijing. A deadly plague ravages the population. From space, a ruthless lunar people watch, waiting to make their move. No one knows that Earth’s fate hinges on one girl. Can I just say CALLED IT? And can I also say so NOT pleased that I called it. Let me tell you my story of Cinder, though. 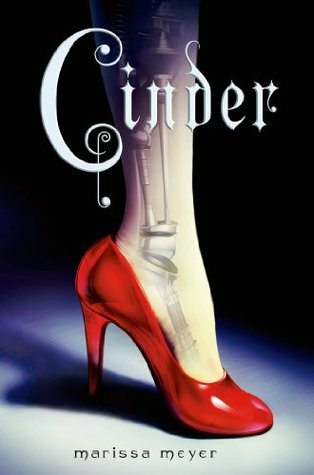 Cinder released in 2012 (was that REALLY 4 YEARS ago? ), as many of you no doubt already know. Cinder was also pretty much always available at my local bookstore, I just never thought it very necessary to go ahead and pick it up. And then came the next few book is the series, and it was just something that was always there, like L.J.Smith’s The Vampire Diaries or Allie Condie’s Matched, that I never picked up. And then came the bookstagram and twitter hype over the finale- Winter, and then I knew I just had to have this book. Regardless of the fact that I’d never truly been interested in the series, I had to have all of them. How convenient it was also that all the books I needed were also just there. And so I bought them. All of them, and here we are. Which brings me back to CALLED IT. Except I wanted it to be more. I wanted there to be more politics, I wanted there to be more of a possible resistance from Earth, I wanted the Crown Prince of the Commonwealth to be just a little more diabolical and I even wanted Levana to not be so transparent. All in all, I don’t think I Scarlet is going to be my next read, but I will definitely be getting back to the series. I guess that this storyline is just way too done. Not to mention that Cinderella is not my favourite Disney princess. All in all, I’m just hoping the series gets to be a bit more than the first book!